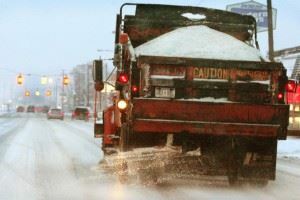 Road salt (sodium chloride) is everywhere during winter months. It keeps us safe on roads and sidewalks, but it can also pose a threat to fish and wildlife as well as human health. Come to this training ,Wednesday February 6 6:30-8:00 at Haverford CREC 9000 Parkview Dr. Haverford PA to learn how to monitor the creek for elevated chloride levels. We will learn about the “Winter Salt Watch” and its nationwide effort to map out salt “hot spots” in creeks across the country. We will then learn how to use the chloride test strips and how to upload the data to the national map and database. Please register event is free, donations are appreciated but not required.